HomeBlogHome DecorFlow Wine Rack by Black+Blum. 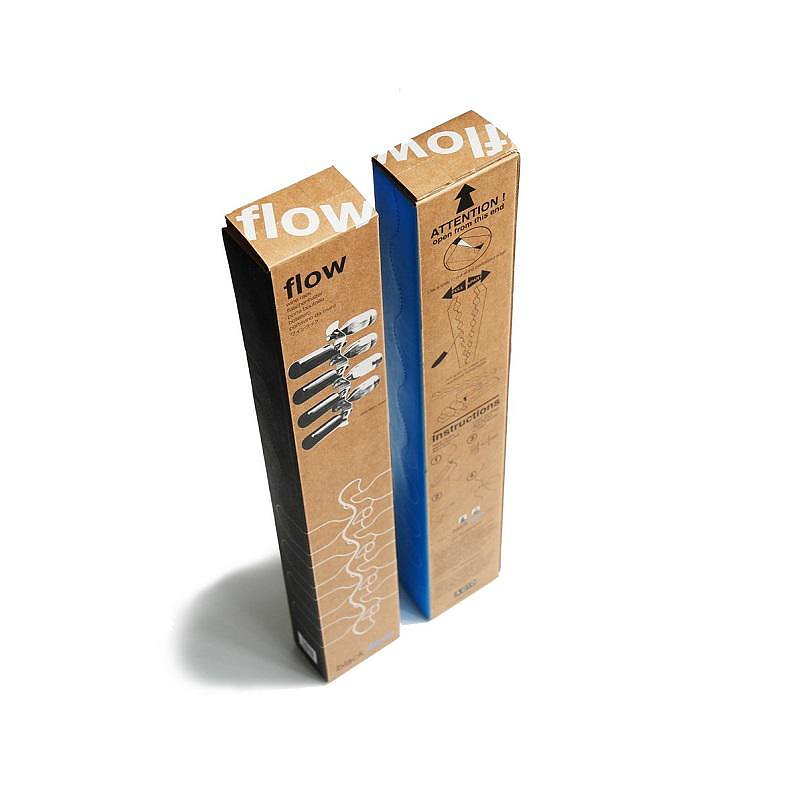 The Flow Wine Rack is a sturdy bottle rack with functional and intriguing design. It looks like a slim wavy line on the wall, yet it this minimalist object is a carefully designed storage unit, optimal for storing bottles in a space saving manner. It is a creation by British designers Black+Blum. 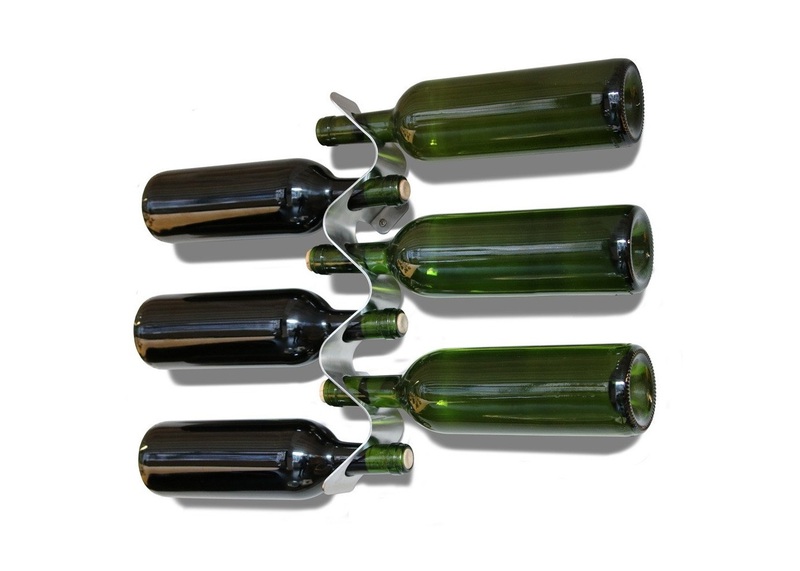 Despite its slim form it manages to accommodate up to 8 wine bottles while decorating your wall. By addressing everyday needs, Black+Blum proposes a very balanced design that is not only good-looking but also very functional. 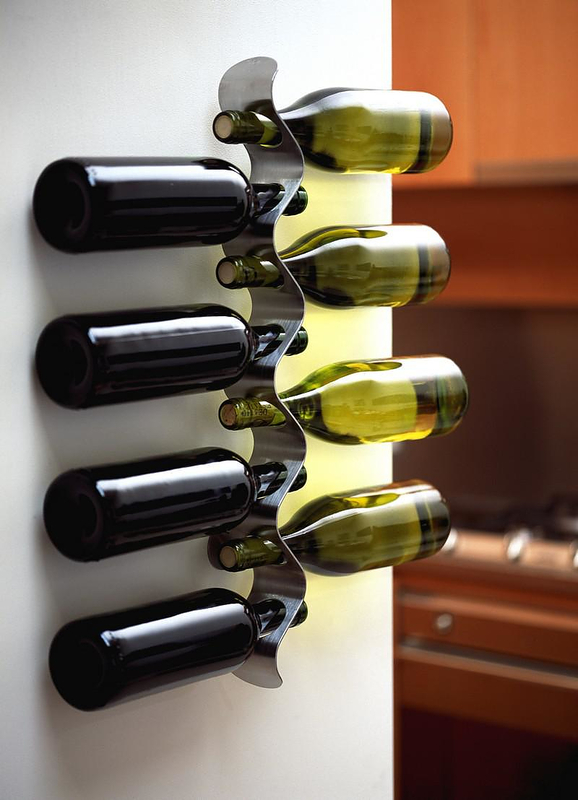 This clever Wine Rack is an extremely light but sturdy construct, compact in size, yet surprisingly effective. Even if you drink all the bottles, its wavy form makes it look like a minimalist sculpture that can stand empty on the wall without looking awkward. The wavy form of the Flow Wine Rack has was inspired by the flow of liquids and is made of stainless steel in matte finish. This neutral design makes it easy to match the Flow with any deco style. 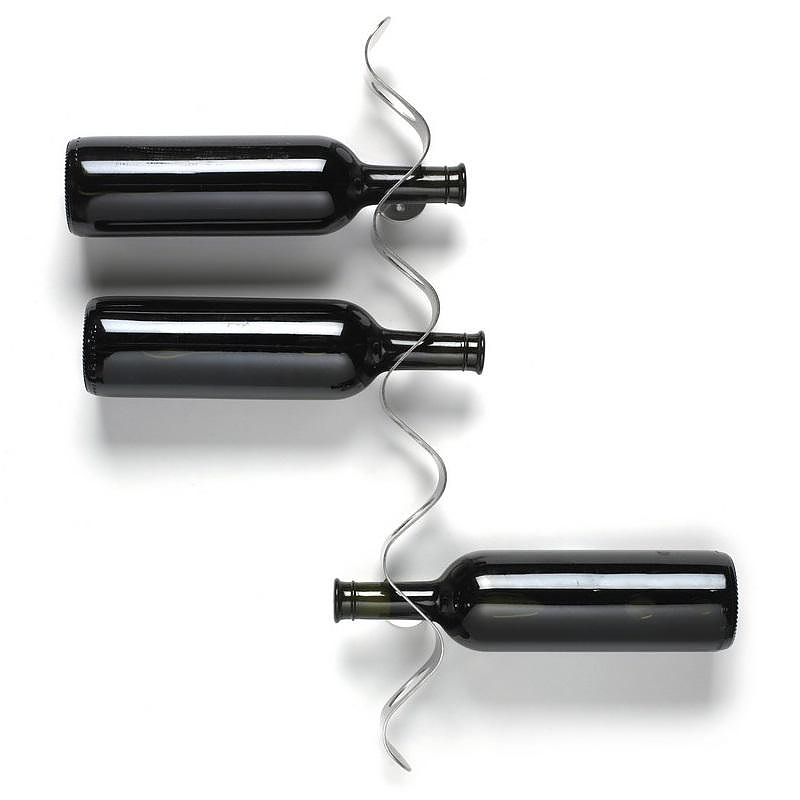 A clever way to decorate your space, and at the same time store and display your favorite wine bottles.